Our Hangover Kit is now available for purchase online. Customers will pick up their included wellness shot at the store. The Rooted Hook is promoting this for us. Customers who are referred by her will request give coupon code "HOOKED" which will get them 10% off in store or online for the kit. 4/9 UPDATE: This discount code is also for juice fasts (please make sure it is only used for fasts & the Hangover Kit). We love seeing your Fruitive creations & encourage you to send us any photos that we can showcase on our social media platforms! Scroll down to the bottom of this page to upload your photos! We have recently revised our policy and the discounts that each store offers. Reading through this document is mandatory for all staff. Click here! We have recently increased all of our store prices (excluding coffee menu). For any customer concerns on the matter, we encourage you to remind them of the quality of the organic & local ingredients that we source and the investment they are making in their health. We have NEW coffee recipes at our Norfolk locations - make note that syrups should always be measured in grams in the mugs instead of just eyeballed. Customer service and coffee/tea electronic quizzes are posted. If you haven't taken them, please do! Click here. Reminder! Consistency of our Berry Bowls is critical. They shouldn't be too THIN or too THICK. Do not use high pulse on the bowls and make sure you are using a spatula to pull the mixture out of the pitcher. Please ask your manager for guidance if you need more training on the perfect bowl quality. We are now selling GLASS STRAWS at our Hilltop location for $12. Over 500 million disposable plastic straws are thrown away every year in the US causing significant pollution & harm to marine life. We are excited to start taking better care of the earth one straw at a time. We hope to have them available at every store soon! We will be hosting a formal dinner at The Main on June 30 at 6:30pm! 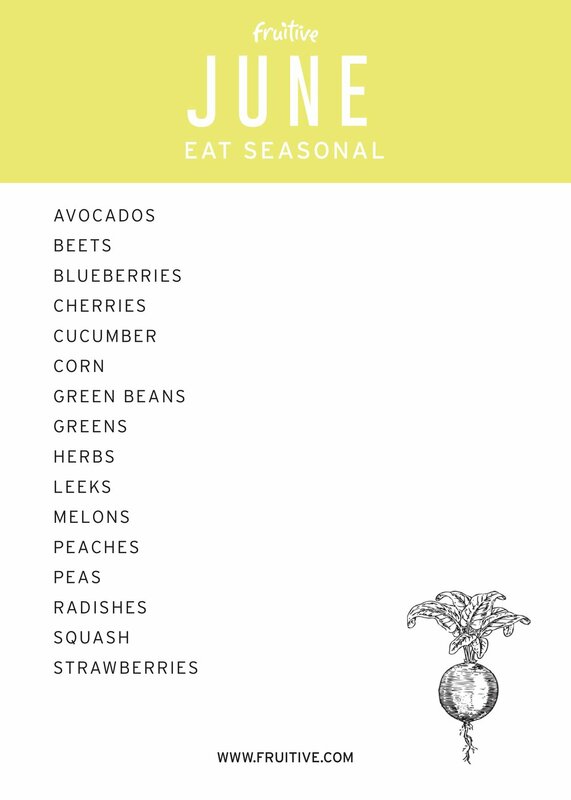 Our Upscale Plant Based Summer Solstice Dinner will be featuring vibrant summer ingredients through 6 courses, drinks, and giveaways. Tickets are available for purchase online at $75/person and dress is semi-formal. We are excited to host another dinner at The Main! Be sure to promote this to our Hampton Roads customers! Please remember to fill out the Fruitive Weekly Questionnaire (scroll down). Questionnaires need to be completed every week by Sunday and your participation is very important for our reporting. We are preparing to launch our new summer menu on June 21 - the first day of summer. Store managers will update you on the new items later this week. As a part of our continuing endeavors to provide sustainable and healthy meal options, Fruitive will now be a part of the Surfrider Foundation’s “Ocean Friendly Restaurants” Program. Surfrider is a non-profit organization committed to ocean and shore conservation. They fund a number of campaigns, including clean water programs, coastal preservation, and ocean protection. In order to qualify as a Surfrider Ocean Friendly Restaurant, Fruitive must meet a number of qualifications. Moving forward, all storefronts will be transitioning away from plastic utensils whenever possible. This will entail that all workers must confirm with customers whether or not their purchase will be “for here” or “to go.” If the customer is getting their order to go, they will be given the option to use plastic utensils. However, if the customer is eating his or her meal in-house, reusable utensils must be provided. Fruitive will also be transitioning away from plastic straw usage. We will be testing a number of different biodegradable alternatives, including paper and compostable straws. We are so excited to share that we are now selling Proud Source Water in our DC store and they will be available in the rest of our stores by this weekend. All three of our Hampton Roads locations will be participating in the Better Beach Project starting next week through August. Customers can grab a container from us or use their liquid meal cups or juice jars to fill up with trash. We will have flyers in each store, but don't be afraid to encourage customers to get involved! To learn more, visit www.betterbeachproject.com. Offering quality customer service is extremely important. 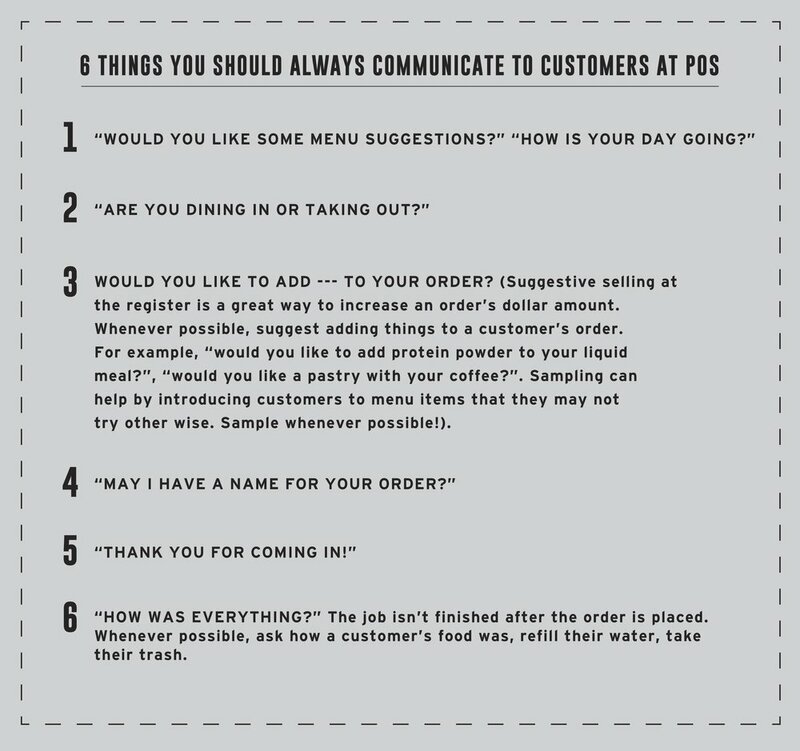 Please review these 6 things you should always communicate to customers at POS. Fruitive is unique in the fact that even though we are becoming a chain - each of our locations have their own vibe, special features, item exclusives, and events. Please be sure to look over what's going on at all locations so you can inform a customer if they are inquiring about something that may not be at your store. Started using an order ahead service called Ritual. Ghent hours are now Monday-Friday 8AM-8PM, Saturday 9AM-8PM, Sunday 9AM-7PM. Hilltop's Sunday hours are now 9-7pm! Upscale Plant Based Summer Solstice Dinner on June 30 at 6:30pm. Which of our menu items have these ingredients in them?